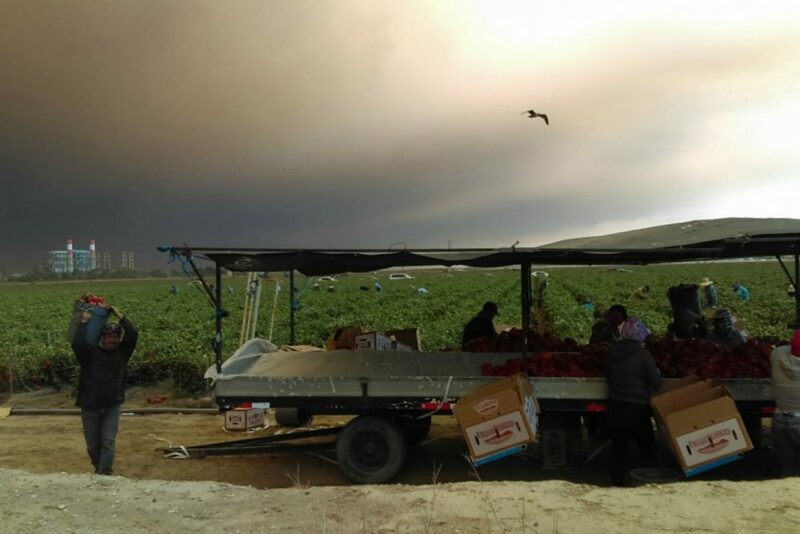 Farmworkers are particularly vulnerable during wildfires. Typically paid a piece rate (by the box or hour), most can’t afford to take time off or travel elsewhere to protect their health. “They really can’t do anything to make up for losing income in a disaster,” Zucker says. Those who are undocumented are exempt from federal disaster aid and are hit hard by the costs associated with fires, like home repair, medical expenses, and temporary housing.